It's an easy mistake to make. And we've all made it. It's a good day on the motorcycle, going fast seems to be coming easily. The corners arrive and are dealt with so easily that you'd almost believe that you're ready for racing and trophies. And then suddenly, you're sliding along the ground wondering what happened. In a car, you might not be on the ground, but you'll find yourself running wide and heading straight for the outside, screaming, "bloody frikkin' understeer!" But the fastest riders, and those of us who've spent time thinking about riding faster, quickly realise that trying to make time or speed up in the entry to a corner produces the sensation of speed and thrills, but not actual pace. Worse, it increases your risk exposure and chances are good that you'll eventually slide off. When you enter a corner, we assume that you've made a whole bunch of adjustments already - body position, gear changes and braking. At this point, you're changing direction and off the throttle. The latter is an extremely high probability for those who are entering corners fast. The usual method is to turn the bike at a high speed allowing the extra forces in play as the bike begins to describe a curve to scrub off speed. The combination of speed and the amount of front-end grip you're using also means that you've left yourself very little room in terms of options if you need to change your speed or line to accommodate something in your path. That's one of the risks but not the big one. What happens when you close the throttle, of course, is that the inertia causes a forward weight transfer. This means that you load up the front wheel and the rear contact patch is carrying less weight. This weight transfer also changes the rake and trail so that your motorcycle becomes more agile and responsive. Unfortunately, the other side of agile-responsive is unstable. 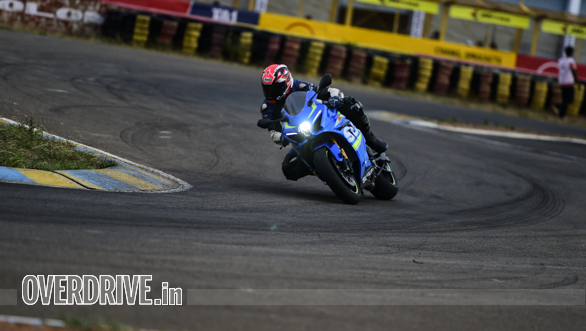 This is one of the reasons that the TWO School by Indimotard and OVERDRIVE - India's oldest Track-based riding school - coaches its students to select an approach to riding that permits maximum time with the throttle open. Which just happens to also be the fastest way around a track, heh heh. Indeed, almost all of the (very few) off-track moments that our students routinely experience come from fast corner entries. Almost none of these excursions happen when exiting the corner. So what's the trick? It feels oddly slow for sure, but the technique is to reduce speed more than you think necessary. This opens up the opportunity to turn the motorcycle into the corner a little bit later. This allows you to see further into the corner before you commit to it. Next, turning in later means a sharper change of direction but your deeper lean angle lasts for a fraction of the time. 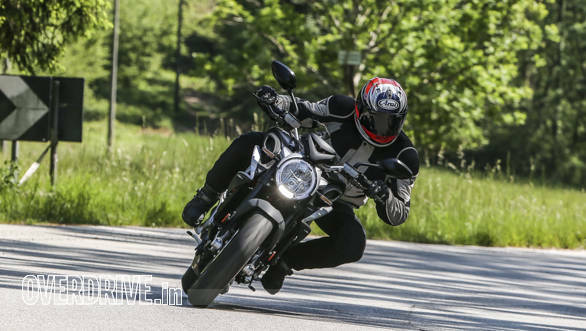 And then, once the bike is pointed to where you want to go, you can come back on the throttle and stabilise the motorcycle once again. Coming back on the throttle earlier also means that you're usually exiting the corner much faster - and that's how you actually go faster. An attendant benefit is that because riding the slow-in, fast-out methods feels calmer than fast-in, slide-out, you'll have more time to process what your eyes are seeing which leads to better riding decisions. Awesome, huh? 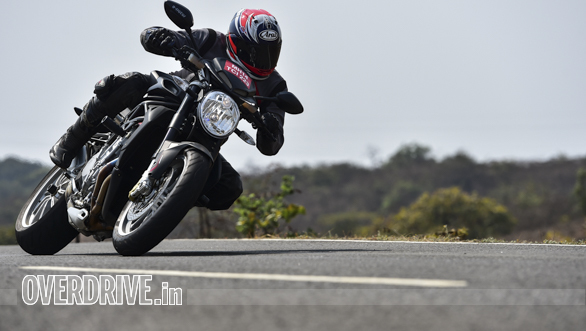 You slow more, you get faster on corner exits while raising your safety quotient as well as your average speed. I promise it'll feel dull and like you're not making any progress the first few times. But it's when your friends start struggling to catch you that you'll see how much faster this method can make you.